In spite of the disaster that was the 2012 election here in Iowa, perhaps the most depressing and telling sign of how far we have to go is that a clear majority of Legislators, and apparently Iowans, are not yet willing to say definitively that automated traffic enforcement is unacceptable.Â By default then we are saying we do not object to having cameras take pictures and videos of us in order to deliver substantial fines to our mailbox some 10 days later. What I have heard from most legislators on this lately is that they believe from talking to their constituents this is close to a 50-50 issue.Â I donâ€™t know if thatâ€™s accurate or not, but if it is then a majority of Conservatives and Libertarians are going to be in for an even worse ride than we previously thought. I know there are several smart and well-reasoned Republicans making arguments for these cameras who see nothing wrong with them.Â I have to believe that a majority of these folks havenâ€™t had the pleasure of receiving a $110.00 ticket in the mail from a non-memorable â€œinfractionâ€ that took place a week and a half before.Â And that these same people havenâ€™t gone to the website link listed on the ticket to have the spooky experience of watching a video of them driving on a public road days beforeâ€”yes this is how it works. 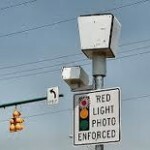 All the arguments against the cameras are well documentedâ€”no right to face your accuser, you may not have been driving, you could get numerous tickets before being aware you got any, questionable impacts on safety, the fact it is yet another increased revenue stream for government, etc.â€”but the biggest one to me is the overarching issue of what tactics we allow law enforcement and government to deploy against us.Â As we know too well, once we allow government to record us autonomously and levy fines against us for traffic violations, it is unlikely to stop there. 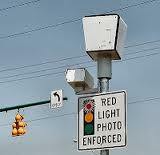 To all the proponents on this issue on both sides of the isle I ask the followingâ€”would you support having speedometers tied to computers in your vehicles which would use GPS coordinates to determine the speed limit and then issue you a ticket sent to your e-mail each time you went 8-10 mph over said limit? The analogy isnâ€™t perfectâ€¦but itâ€™s pretty close.Â Hard to imagine anyone saying yesâ€”let alone a majority. The politics are interesting here too.Â In short, the Republican voting coalition needs, to a large degree, to include Libertarians or else they will win nothing moving forward.Â No matter how fiscally conservative they are, be assured that if the Republican Party here in Iowa and nationally will not stand up against video surveillance and mail delivered fines then Libertarians will never vote republican in a large majority.Â In fact, you would be hard-pressed to think of an issue that could more quickly lead to a third partyâ€”and hence the death of the Republican Party.Â Frankly, the truth is I wouldnâ€™t blame them.Â If, as the party of small government and freedom, we wonâ€™t even stand up on this blatant of a â€œBig Brotherâ€ issue, then the jig is up. The reason why the Libertarian coalition is so crucial is perhaps even more interesting.Â First and foremost you have the stubborn friction between the traditional voting blocs Republicans rely on to win elections and the current electorate.Â The largest single coalition in the Party is the religious-wing (in a society that is, for whatever reasons, growing more liberal on social issues), and the fastest growing new members of the electorate by a landslide are Hispanic voters (which we consistently lose by 30+ points).Â This is of course added to the fact that Republicans routinely lose the women vote by close to double digits (and they have voted in a greater number than men in every Presidential election since the 1980â€™s). In pointing these things out I am in no way saying that these differences and pitfalls canâ€™t be mitigated by the Republican Party, and am certainly not taking a position here on which coalitions should or shouldnâ€™t prevail.Â The point I make is that because of these problematic dynamics for the Republican Partyâ€”a clear majority of the pragmatic Libertarian vote is absolutely essential going forward.Â In terms of the â€œgoing forwardâ€, Libertarians are by and large younger Americans that will be voting for generations (a segment of the youth vote Republicans could actually win), as well as the fact that Libertarian leanings, by nature, will grow larger the larger our government itself grows. To be clear, this is not to say that Republicans would ever run on legalized prostitution or drugs, but it is to say that not standing up against something as symbolic of government overreach as traffic cameras would be a major mistake. Both politically and on principle, fighting hard for a bill next session in the Iowa Legislature banning all automated traffic enforcement is a no-brainer.Â Not doing so would be abandoning the mantra of our Partyâ€”which is to stand for more freedom, less government intrusion, and less confiscatory power from the political class. If as a Party we either fail to lead this charge in the first place, or do so and find a majority of Iowans donâ€™t agree with us, there will be ramifications in future elections.Â As dim as the landscape looks now for Republicans itâ€™s hard to imagine how much uglier it could get…but I know it would be much worse than $110 ticket in your mailbox.